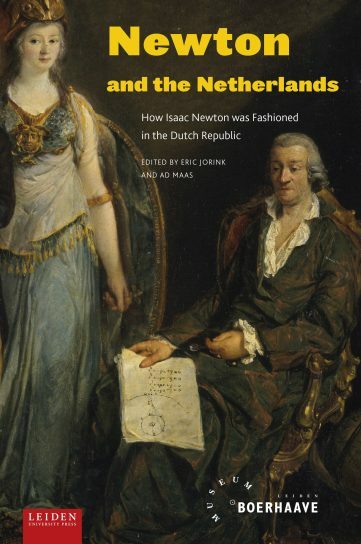 The Dutch Republic proved to be extremely receptive to the ground breaking ideas of Isaac Newton (1643-1727). Dutch scholars such as Willem Jacob ‘s Gravesande and Petrus van Musschenbroek played a crucial role in the dissemination of Newton’s work, not only in the Netherlands and also in the rest of Europe. In the course of the eighteenth century, Newton’s ideas (in different guises and interpretations) became a veritable hype in Dutch society. In Newton and the Netherlands Newton’s sudden success is analysed in great depth and put into a new perspective. Eric Jorink is researcher at the Huygens Institute for Netherlands History (Royal Dutch Academy of Arts and Sciences. Ad Maas is curator at the Museum Boerhaave, Leiden, the Netherlands.